Hello lovelies! It feels like it's only been a few days since we talked about my February monthly layouts, but the short little month has flown by. I've been pretty busy lately with boring ol' life so I haven't been able to update you guys much on any of my projects. I'm sorry, please don't hate me! Hopefully that will change here soon. 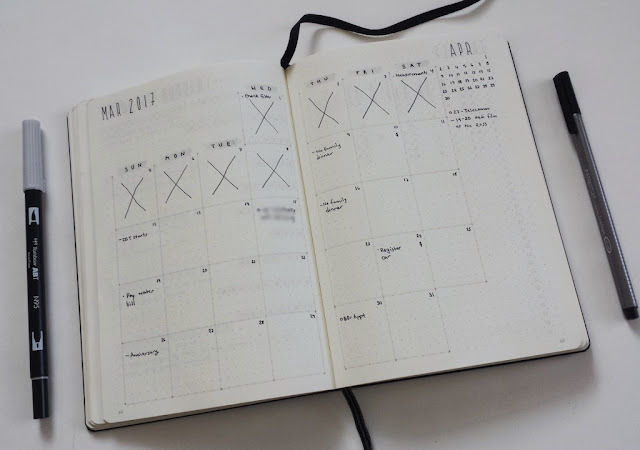 In the meantime, let's take a look at my March Bullet Journal monthly layouts! For the most part, this month's pages remained the same. I have really found my groove with the minimalistic layouts I started this year. It keeps my setup time to a minimum and really highlights what's important -- actually living my life! As always, I start with my monthly overview. One change this month is the removal of the general tasks list. I haven't used it that much in the past, so I'm trying a month without it. But who knows, it might get resurrected next month! I also changed the next month small calendar and list to take up the full length of the page and removed my modified level 10 life assessment (you'll see where I moved to in a moment). Finally, in yet another effort to simplify my Bullet Journaling process, I eliminated one of my tools. Sorry grey Staedtler triplus fineliner, I've traded you in for the other end of my trusty N89 Tombow dual brush pen. My tracker format has remained pretty much the same. The only changes this month are the regroupings in my habit tracker. I tried to break them up by category and then arrange them in order of a typical day. For instance, I grouped my Duolingo, reading and meditation habits together because they all have to do with expanding and caring for my mind. Hopefully this is easier to track throughout the day and might even help me form some habit associations! 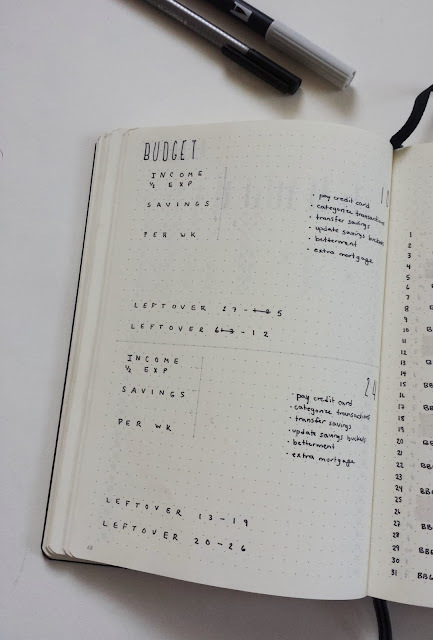 Last month I tried making all the text of my budgeting worksheet be grey but I really hated it! Back to good old black text this month. :) I wouldn't be honest with you guys if I didn't point out my own imperfections: I definitely messed up with the dates in the "Leftovers" section this month. Oh well! 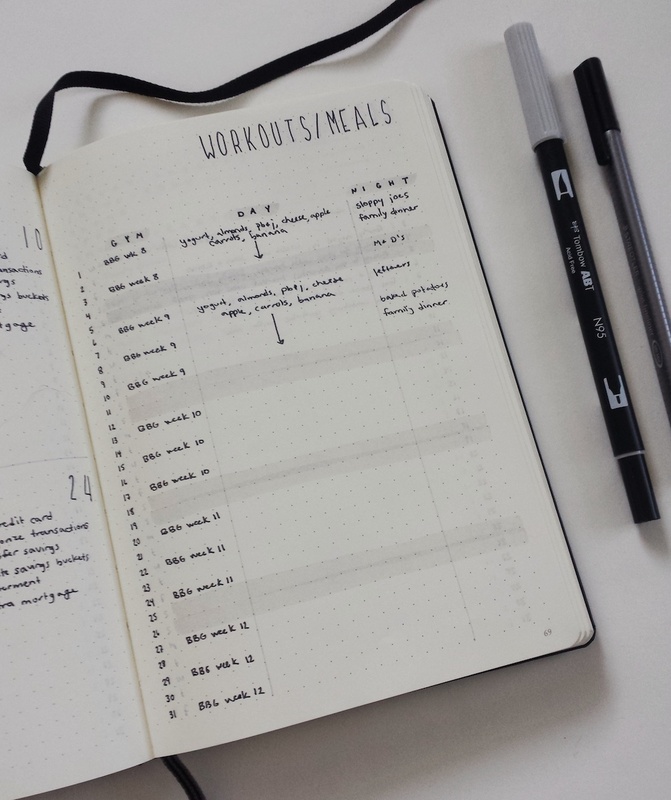 I've had separate meal planning and workout planning spreads for awhile now, but this month I'm trying them out as one single spread. After all, diet and exercise are highly interrelated right? All I've done here is give each day a line, with the weekends highlighted with my Tombow dual brush pen so they stand out a little more. There are three columns: one for my workout (currently doing Kayla Itsines' BBG for about about the millionth time), one for my daytime meals (breakfast, two snacks, lunch -- I meal prep them all and take them to work), and one for my dinner. Nothing too fancy, but so far it seems to be just enough space. Back to more layouts I'm sure you'll recognize. Nothing new to see here, just my trusty gratitude tracker. Remember when I told you I'd show you where I moved my modified level 10 life spread to? Fear not, because now is when I make good on my promise! This month I'm trying out something completely new, completely unplanned and will quite possibly fail spectacularly. Each month I have been reassessing where I'm at with my five modified Level 10 Life categories (relationships, mind & body, home, fun and money & career). I make some short term goals for the month so I make at least some small progress. 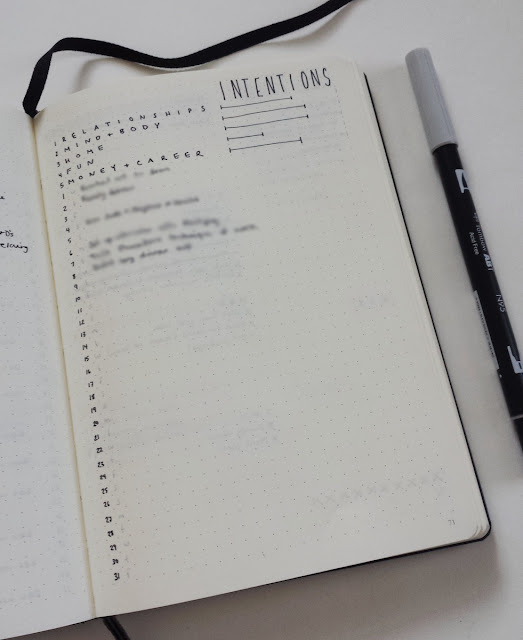 But after I've finished my monthly spreads and it's well into the third and fourth weeks of the month, I often forget all about what those goals were. I needed to come up with something that kept my goals in the forefront of my mind and held me accountable for making progress. The idea for this spread came to me while I was creating my gratitude tracker. 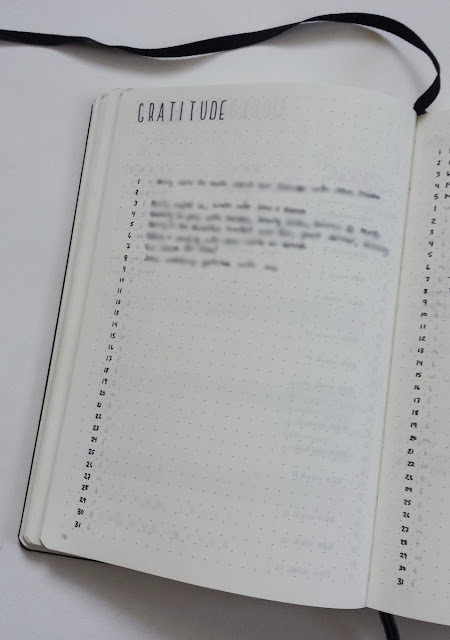 I visit my gratitude tracker every day and it's been a great way to reflect on my life. That format seemed almost perfect for what I needed for goal tracking, and so this spread was born. I moved my monthly assessment to the top of this spread, then added a line for every day of the month. It fit perfectly this month, with not a line to spare! Each day I will visit this spread after I'm done filling in my gratitude log (on the opposite page) and I'll write something down that I did that helped me progress with one of my Level 10 Life goals. And that's all for March folks! 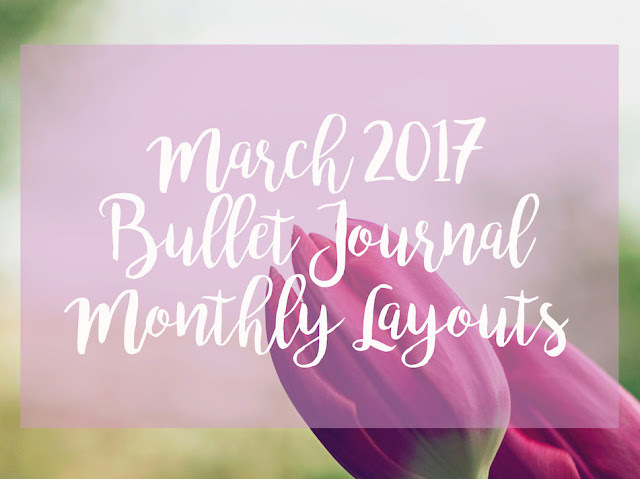 As always, it's been fun giving you the grand tour of my March Bullet Journal monthly layouts. Comment down below and let me know what layouts you're trying out this month! * This post contains affiliate links. This means that I may receive a small commission (at no extra cost to you) if you purchase something through these links. I promise I'll only ever post something that I know and love! You can see my full disclosure and policy here. Thank you for supporting Beckasaurus! 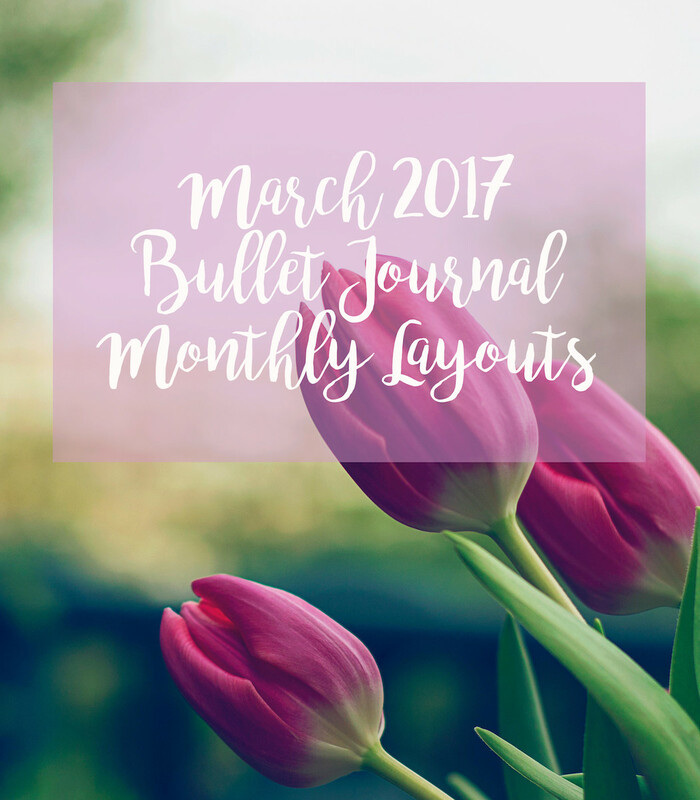 4 comments on "Bullet Journal Monthly Layouts - March 2017"
I'm so glad you're getting into Bullet Journaling! I promise it'll get easier as you go :) For my Level 10 life spread, I just broke it down into 5 categories: Fun, Money & Career, Relationships, Home and Mind & Body. 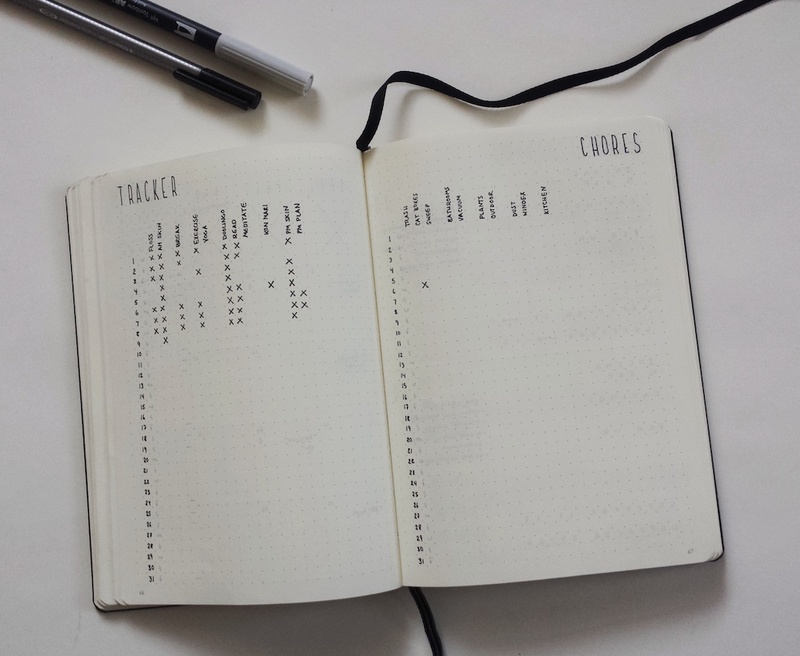 You can see a picture of my spread for the whole year at http://www.beckasaurus.com/2017-new-year-new-bullet-journal. Just scroll to the 'Retrospection and Goal Setting' section and you can click on the pictures to make them bigger! I hope this helps! Thank you so much for commenting and reading! do you have a guide to how you drew your monthly calendar? I love how simple it is! Thanks! I don't have a guide though, sorry. I just did some math with the number of squares my notebook has across and wide and then divided those counts by the number of weeks (for the rows) and the number of days in a week (for the columns). Then I counted out rows and columns and drew some guidelines in pencil before I finalized it in pen. Hopefully that helps!